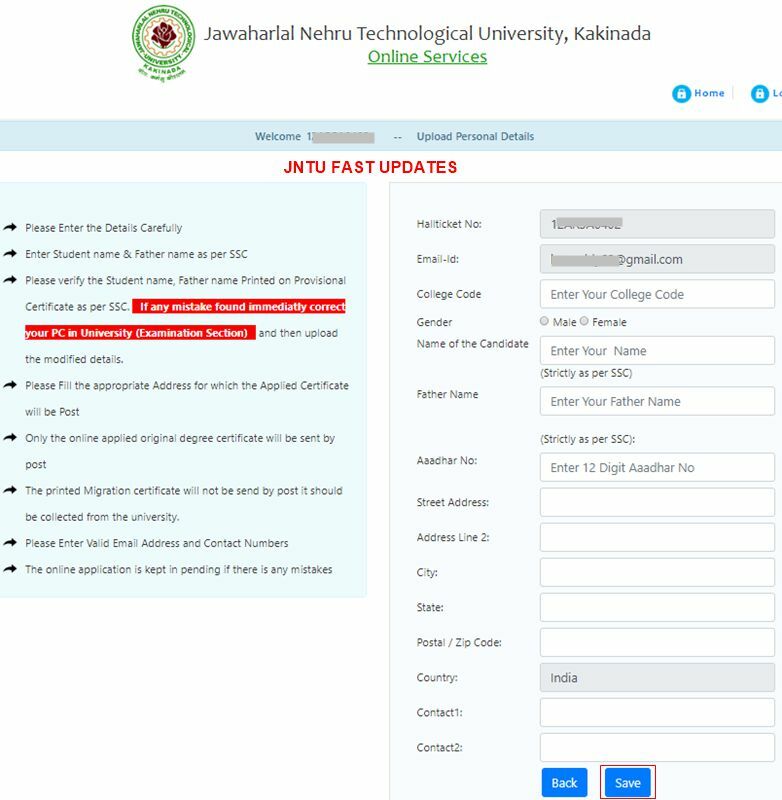 JNTUK OD Apply Online 2019: JNTU Kakinada Original Degree (OD) Application Form 2019, How to apply for a OD, jntuk od status, jntu kakinada Original Degree online apply guidelines. The Candidate those who are applying for the OD certificate are requested to upload Educational Details (like PC, CMM, SSC, PHOTO) and Personal details in online-application. Once OD is printed, your details are removed from the database. you can check the status of the OD from the printed OD info tab. you can check the status of the OD from the printed OD info tab. 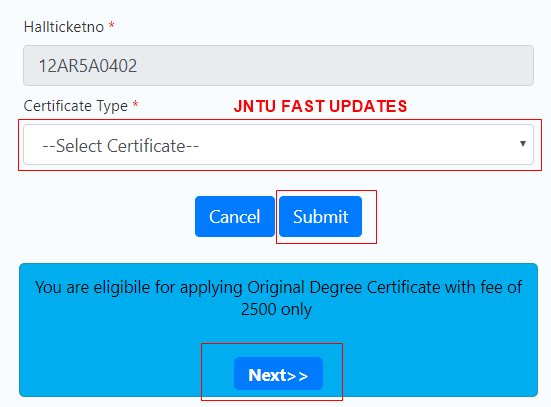 JNTUK OD Apply last Date 2019? 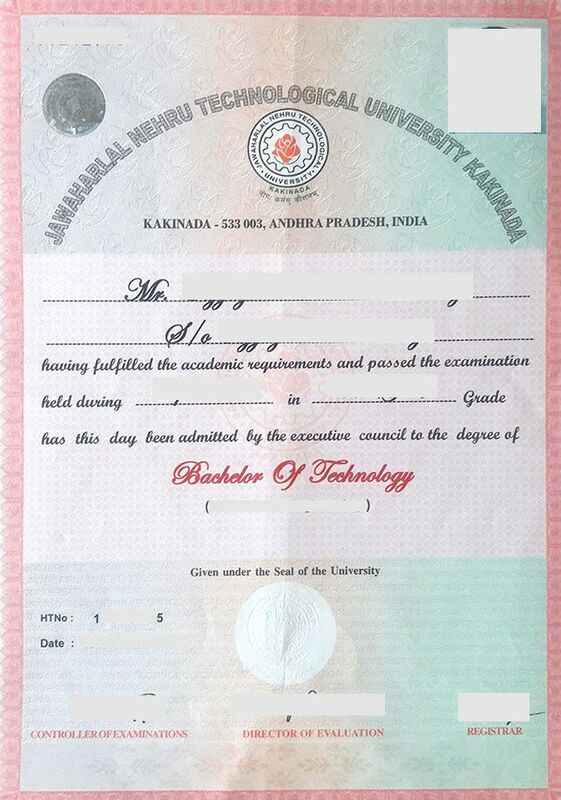 JNTU Kakinada has released VII Convocation notification 2019. As per the Notification students can apply for Original Degree (OD) through online on or before 03-April-2019. Note2:- The refund details for students who are eligible(amount credited to University account more than once) will be announced shortly. 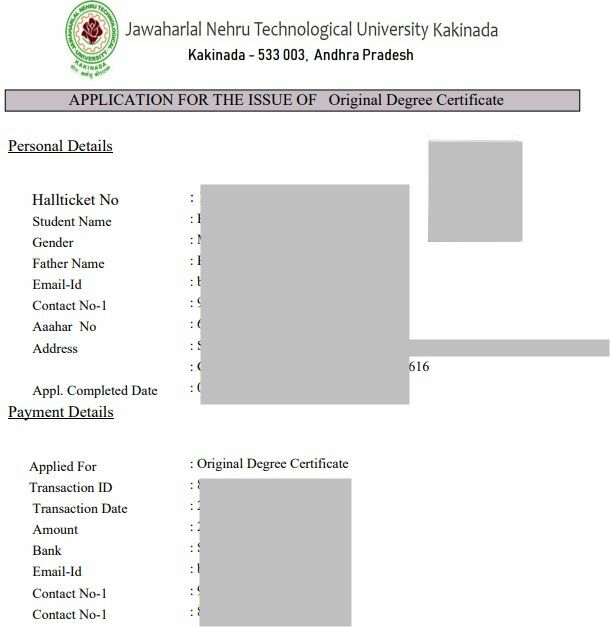 1.This application is meant for The candidates who are passed outs from Jawaharlal Nehru Technological University Kakinada during the years (2009, 2010, 2011, 2012, 2013, 2014, 2015, 2016, 2017, 2018) and obtained their Provisional Degree & CMM certificates are eligible for applying Original Degree certificates. 5.The amount can be paid either by making online Payment (using Master/Visa Credit/Debit (ATM) cards) or by making the payments at any branch of SBI using the on-line Challan generated by this Online Daily_wise OD Application. Click on the “Register” button at TOP menu. Note: If you are Eligible for Applying Original Degree it shows ” You are eligibile for applying Original Degree Certificate with fee of *** only. Please verify the Student name, Father name Printed on Provisional Certificate exactly as per SSC. 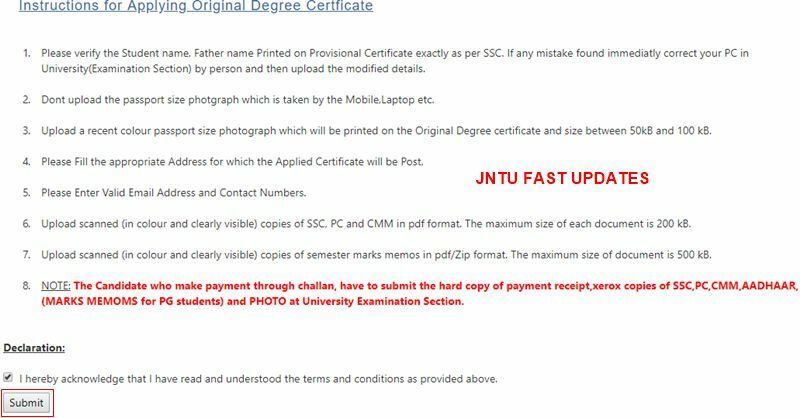 If any mistake found immediatly correct your PC in University(Examination Section) by person and then upload the modified details. Upload a recent colour passport size photograph which will be printed on the Original Degree certificate and size between 50kB and 100 kB. Please Fill the appropriate Address for which the Applied Certificate will be Post. NOTE: The Candidate who make payment through challan, have to submit the hard copy of payment receipt,xerox copies of SSC, PC, CMM, AADHAAR, (MARKS MEMOMS for PG students) and PHOTO at University Examination Section. Upload a recent colour passport size photograph as per the specifications given on the left. This photograph will be printed on the Original Degree certificate. The size of the photograph shall be between 50kB and 100 kB. I have done my payment at first time, it is shows that again done our payment and I have done my payment second time. Then it shows successfully completed transcation. In how many days required to get first payment. Sir there no use of extended date of applying a od. Sir lot peoples very poor and they can't be pay any addition money .if not extended and solve these problems students facing a problems .please solve sir . how can we upload documents if the page appears like this. please help us by updating the website properly . Payment is done but status not updated till pending stage , I can try to upload the documents it shows the message like "First done the payment". How can i get back my money? Any one are respond to ur mail. Plz give reply I have the same problem. 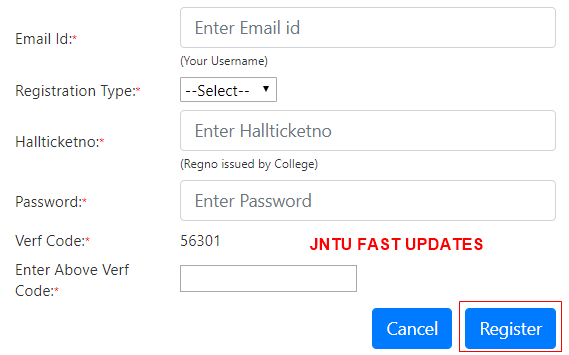 Payment status till now not updated but payment has done it is asking to do the payment again plz update the server tomorrow is the last date plz update as soon as possible…..
yendhuku sir ilanti website create chesi maaku headache teppistharu. Their no use by extending date. please solve the problem we are getting problem with step 4 please transaction was done but further step was not proceeding. what the hell happening?iam trying from last two days to upload documents its not working,if it is continue like this there is no use to extend the date.i paid money also. Sir i make first time and money hass been deducted but it is not showing pending and next day i do the payment agin and my money deducted but again it is showing that pending. What is the problem and what i want to do. Is my money refund or not pls tell me. I have done with the payment part. After that when I am trying to upload documents there is showing nothing in that page. Could you please help me in this aspect. ist good about to hear the extension of date but no use of extension od only date its is better to solve the techical errors regarding this website its not working properly what we have to do to complete od.